When many people hear the subject of mathematics in Africa, the only word associated with it is difficulty- and with this many engender the fear mathematics as a subject in spite of various attempts and strategies to show that it is deliberative, problem solving and easy. The burden of having to memorise the techniques, keeping the square roots, developing personal strategies to work fast enough with the Brackets, Order, Division, Multiplication, Addition, Subtraction (BODMAS) and other concepts may be easy or difficult. But this depends on the teacher handling the child and the approach being employed. Arguably the role of the instructor and the manner of teaching the concept to the student is what actually makes mathematics or any other course either seemingly difficult or easy to comprehend. It is upon this understanding that the Mezzo House Limited (MHL), a professional organisation managed by a group of Ghanaian Mathematical Professionals, developed the Mezzo Maths programme to facilitate and ensure the easy teaching and learning of the subject. 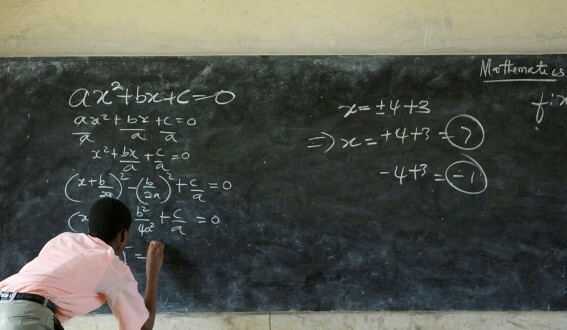 In an interview with the Ghana News Agency, Reverend Dr Peter Osei Akoto, the Director of MHL, said solving problems in Mathematics has almost become a “monster” scaring both children and adults especially in Africa. He said the failure of many high school students to excel in mathematics could be attributed to their poor foundation and this is a gap Mezzo Math concept seeks to close. Reverend Dr Osei Akoto said “research has revealed that about 75 percent of children lose interest in solving Mathematical problems before they get to age 14. This is a critical period, he said, as other research have highlighted the fact that by age 14, the child would have developed about 75 per cent of their brain’s capacity. And the fear of Mathematics follows the child through to adulthood, thinking that the subject is the most difficult subject on earth. Many instructors or teachers themselves grew up with no solution to this problem,” he conceded adding that the paramount concern, in this regard, is the need to look for a solution to clear this fear which indeed, has affected both the learner and the instructor. The Mezzo Maths concept has the objective of building a solid foundation in Mathematics, improving mental numerical speed and accuracy and enhancing students’ problem solving skills. “By 2023 teaching and learning of Mathematics would become fun and interesting for all school-going children and adults who will have the opportunity to go through theMezzo Maths programme,” the Founder said. He said the Mezzo Maths concept was currently running in some private schools in Ghana and in basic schools of The Gambia as part of a government project where teachers are undergoing a training on the programme. Unlike in The Gambia, where currently, Ministry of Basic and Secondary Education has given permission for basic schoolteachers to be trained with the Mezzo Maths concept on three levels throughout the country, in Ghana, the programme is currently being implemented by some private schools located within and around Accra. These schools include Gold Avenue School, Christ the King International School, Mary Star of the Sea Preparatory School, Shiloh Community School, High Moral Academy and Blessed Royal School. Others include Kindacare School, Tuskegee International School, Prima Academy, Roka International School and Crystal Heights International School. There is a consensus amongst mathematics instructors on the usefulness of the Mezzo Maths concept and what is now needed is for the educational authorities to involve themselves and ensure its implementation in all public schools. According to maths instructors acquainted with the concept, benefits to be accrued by students include the improvement problem solving skills, providing in-depth conceptual understanding of the concepts of mathematics and fast tracking these concepts to meet desired expectations. The Mezzo Maths programme also presents a concept of thinking in pictures that could help the studentperform better not only in mathematics but in all other subjects as asserted by Reverend Dr Osei Akoto saying the child’s memory of numbers, names, colours and many more would be greatly enhanced. He said “the constant practice of calculating sums dictated by the course instructor helps to acquire speed and accuracy in calculation and sharpens the listening skills of the student. The teaching method in Mezzo Math sharpens the attentiveness of students and helps them concentrate better. The ancient art of mental math is primarily about arrangementand appearance and constant practice improves the presentation skills of the student and at a specific stage in this learning process, the students work with an imaginary calculator making their brain very resourceful,” Reverend Dr Osei Akoto said. He said the concept was all about speed and accuracy through constant practice adding that “the speed and accuracy of the student is improved not just in arithmetic but in the overall performance of the student”. If this programme is being implemented in only Accra and its environs and yielding positive results to the students in the private schools then it is high time we extend it to students in public and rural schools.